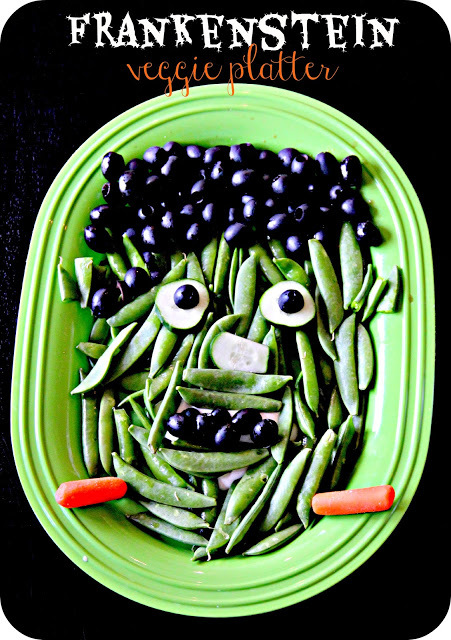 I am a fan of fun Halloween crudités, so I love this Frankenstein veggie platter. You could even make it on a smaller scale as a way to get your kiddos to eat a healthy Halloween snack before heading out to trick-or-treat. You can check out the Frankenstein veggie tray over at Blue Skies Ahead.